Trying to describe The Who’s “Tommy” to someone is difficult. 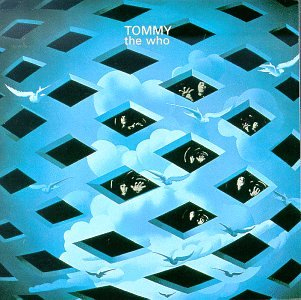 “Tommy” by the band The Who is an album, a rock opera, a movie, a play, and an unforgettable experience. “Tommy” was first released as an album in 1969. The album tells the story of a deaf, dumb and blind boy who is a pinball champion. The album is described as a “rock opera” because its tracks tell a sequential and linear story. “Tommy” was re-released in 1975 as a movie starring the members of The Who, plus Ann Margret, Tina Turner, and Elton John. Both the movie and the album are spectacular. The music is dramatic and memorable with lots of catchy hooks that stick in one’s mind. Whether watching the movie or listening to the album, one is struck by just how unique and groundbreaking “Tommy” is. The idea of writing a long album that tells a unique story led to one of The Who’s finest releases. The plot of Tommy is relatively straightforward. As a young boy, Tommy is left almost catatonic by a traumatic experience. Throughout his childhood his mother tries to cure him by taking him to different healers including the “acid queen,” who doses Tommy with LSD. Tommy then becomes a messiah figure and has a cult-like following. The music is big and bold. It has an almost classical feel to it but yet it is surprising how much the record rocks. Both have an introduction that is dramatic enough to raise the hair on the back of your neck. Both tracks also have a satisfying rock feel that will leave you truly moved. In the movie “Almost Famous,” the protagonist is given “Tommy” by his sister with a note attached. This album is a mystical masterpiece that may not show you the future but will certainly change your life.